Intuitive, virtually self-adjusting mechanism provides a multi-position locking recline. It maintains the lumbar support while you’re reclining. Dynamic tensioning provides more support in the lumbar, while feeling relaxed in the upper back. One of only a few mesh chairs with a high back. Suspension mesh technology allowed us to design a frame that provides working clearance. You can move your arms. Mesh fabric is softer than the screen door mesh used by our competitors. 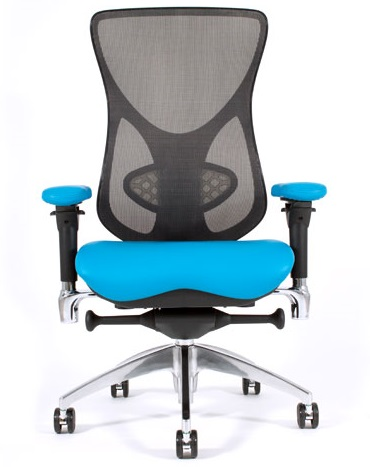 The comfortable seat offers moderate, minimal and flat contour options.